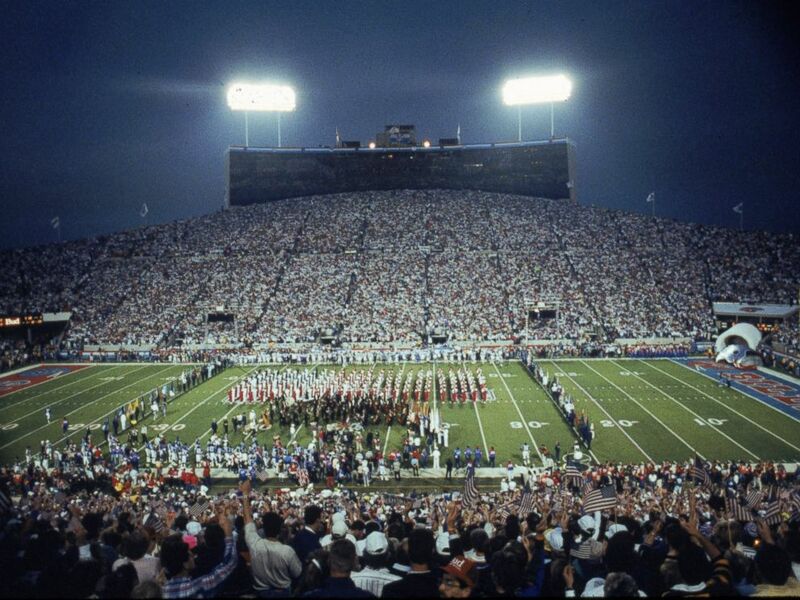 ​​​​The Silver Anniversary Super Bowl is perhaps best remembered for two words, "wide right!" 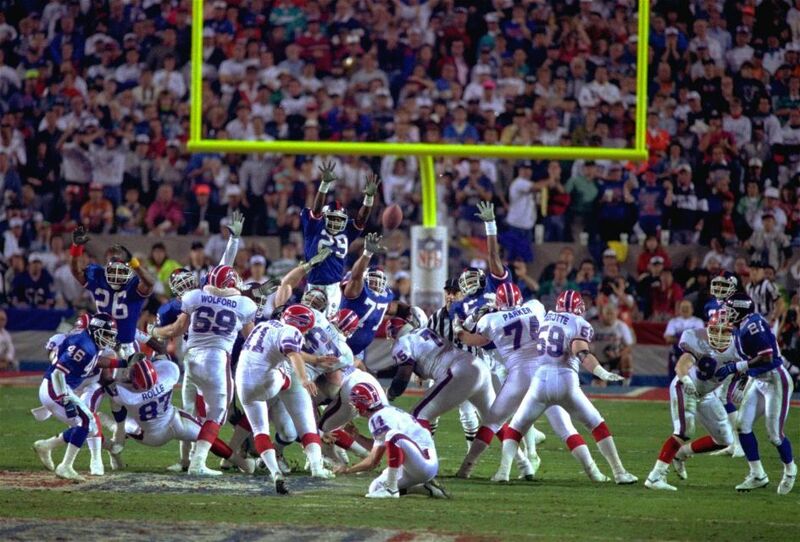 Super Bowls had come down to field goals at the end of the game before, but this was the first time a kick had been missed on the biggest football stage. The Buffalo Bills had been favored coming into the contest. 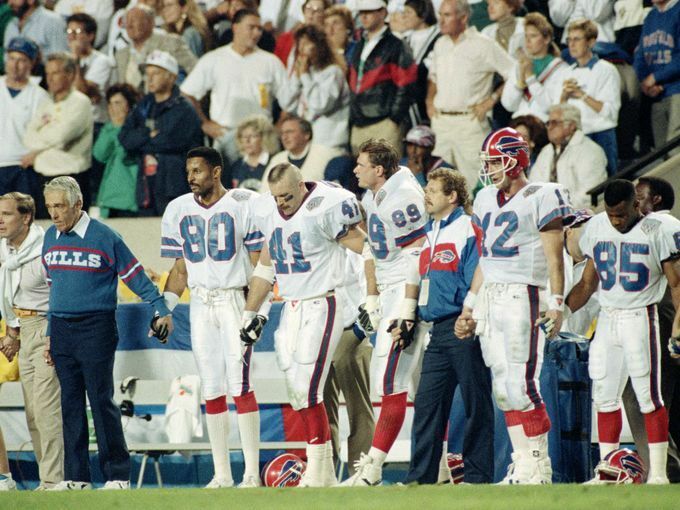 They had largely dominated throughout the 1990 regular season with a 13-3 record, and 44-34 and 51-3 playoff wins over the Miami Dolphins and the Los Angeles Raiders respectively. 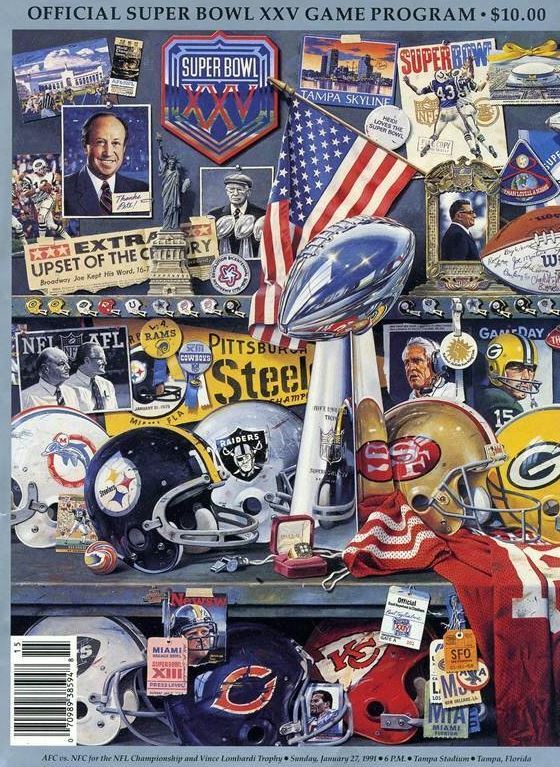 Their opponents, the New York Giants, on the other hand, entered the twenty-fifth Super Bowl after having scraped past the San Francisco 49ers, 15-13, in the NFC Championship game. 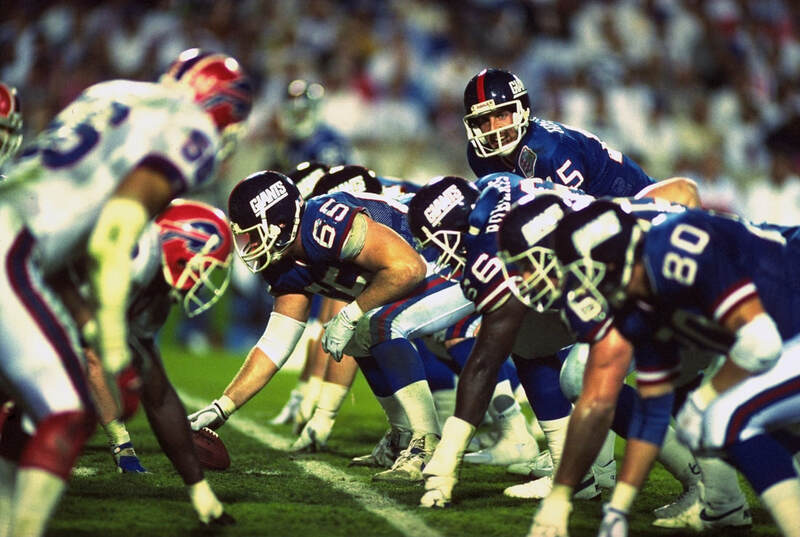 They also had their back-up signal-caller, Jeff Hostetler, due to losing their seasoned veteran, Phil Simms, late in the season. Things appeared to be going according to script as halftime loomed. The Buffalo Bills had a 12-3 lead, and appeared to be heading into the break with the momentum very much on their side. However, two drives on each side of the halftime break would not only turn momentum in the Giants' favor, they would define the Giants' philosophy. As the minutes ticked away from the first half, the Giants drove 87 yards over the steadily tiring Bills' defense, capping off the advance with a 14-yard scoring pass from Hostetler to wide receiver, Mark Ingram, making the halftime score, 12-10 in Buffalo's favor. The Giants would get the ball to begin the second half. They methodically marched 75 yards down the field, taking 9:29 off the clock. Ottis Anderson, on his way to an MVP award, ploughed over the goal line from the 1-yard line. With almost two-thirds of the third quarter drained from the clock with the Buffalo Bills yet to see the ball, the Giants had assumed the lead, 17-12. 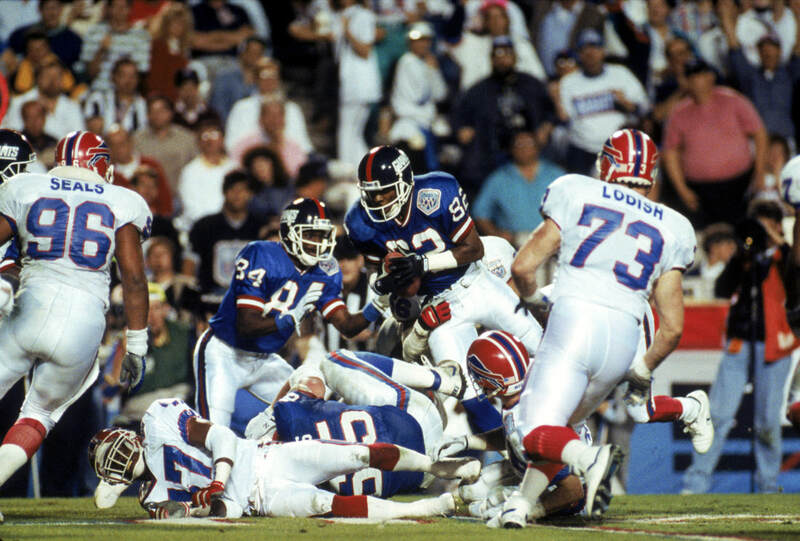 The Bills would pull a touchdown back when Thurman Thomas scampered into the end zone from 31 yards out, putting the Bills back in front, 19-17. 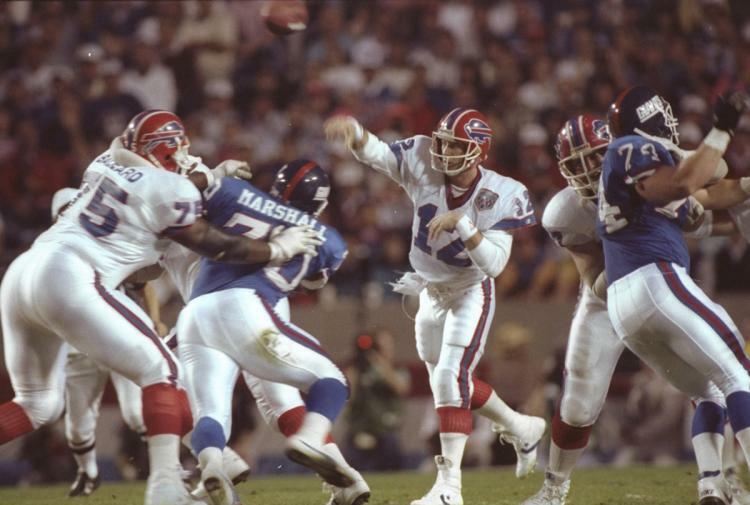 The Giants retook the lead on a 21-yard field goal from Matt Bahr, 20-19, setting up the Bills to put their kicker, Scott Norwood in place to miss perhaps the most famous field goal attempt in NFL history. 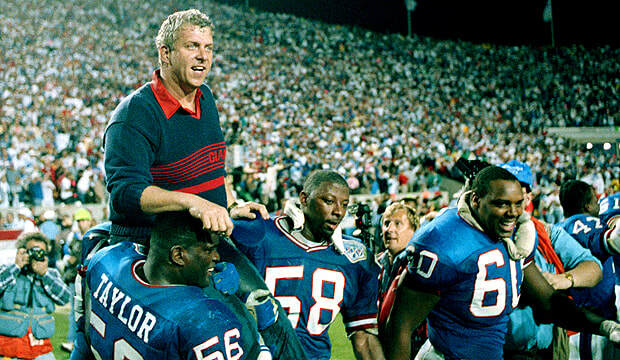 In the words of Bill Parcells in the post game press conference, "If we play tomorrow, the Bills win 22-20!" 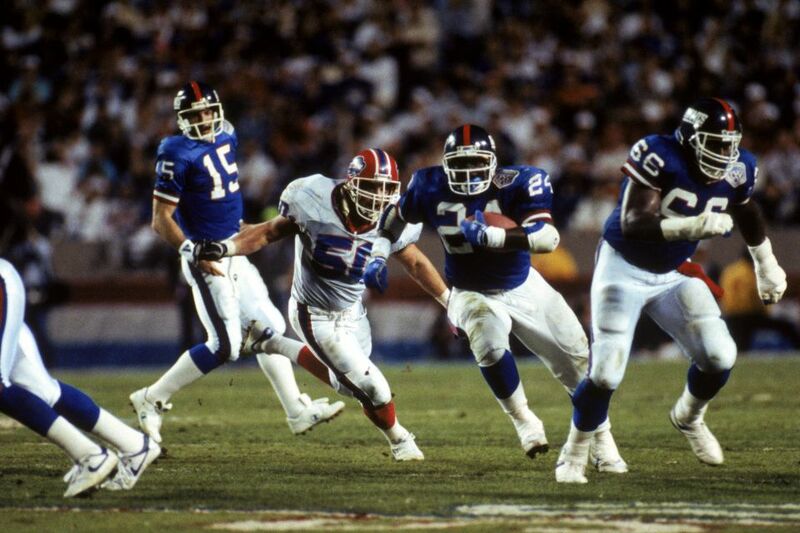 Super Bowl XXV was unique not just because it was the silver anniversary game. The contest was played under strict security due to the Gulf War. Each of the crowd, and television broadcasters, were searched before they were given entry to the stadium, and the blimp was not allowed to fly over the game, which had a no-fly zone in place. You can see a short report regarding the added security at the end of this article. ​Perhaps partly due to the emotional reaction from the crowd due to the aforementioned conflict, Whitney Houston's rendition of the American National Anthem is largely considered to be the greatest version of the song in Super Bowl history.